Jakarta Fire Handling and Rescue Dept. has noted that there have been 369 fire cases occurred along January-April 2017.
" We urge people to always be aware of any fire hazards that may occur at any time"
The cause of the fire is dominated by electricity short-circuit. Jakarta Fire Handling and Rescue Dept. 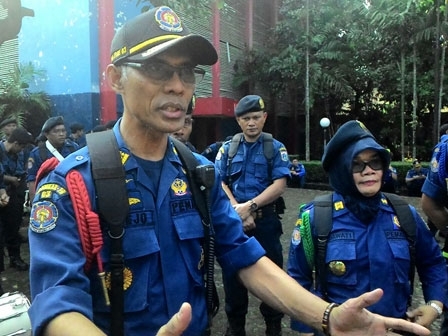 Head, Subejo said the material losses due to fire is reaching Rp 207,148,400,000. "The most frequent occurrence is in West Jakarta with 96 fire cases. It is still dominated by buildings with 137 cases," he expressed, Satuday (4/29). Allegedly, the cause of the fire is still dominated by electricity short-circuit with 253 cases, followed by gas with 41 cases, candle with 1 case, burning garbage with 12 cases, cigarette with 8 cases and 54 other cases. "We urge people to always be aware of any fire hazards that may occur at any time. Therefore, the preparedness should be improved," he finished.